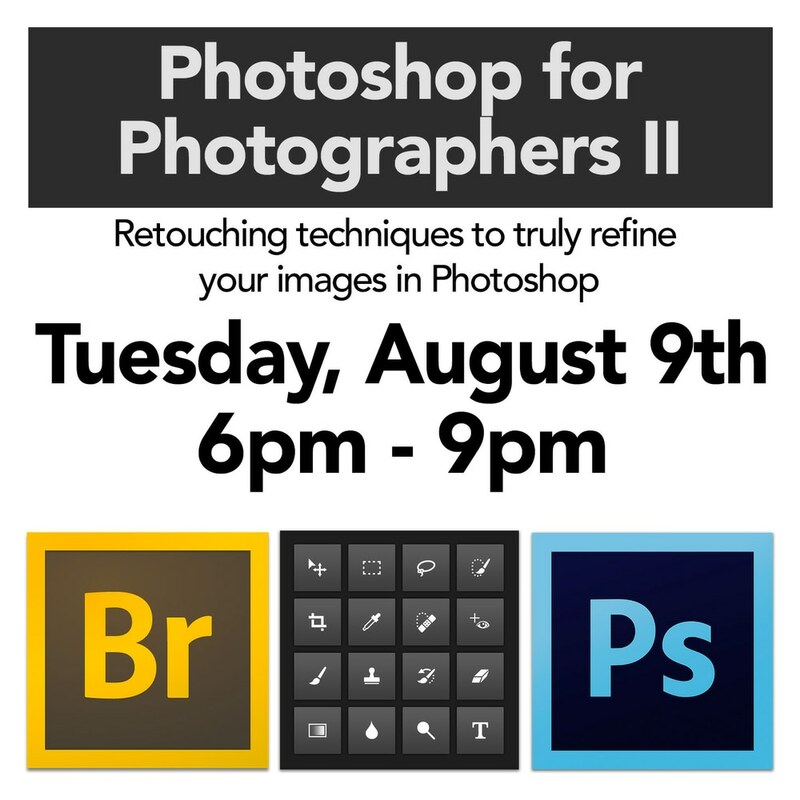 Photoshop for Photographers 2 is a seminar for professional, fine art and hobbyist photographers who want to learn about photo editing, retouching, compositing, and much more. This seminar starts where Photoshop 1 for Photographers left off, it is not a how to shoot photos seminar, it's a how to enhance or chage your image files. This seminar is for beginners/intermediate. Prerequisite is Photo shop for Photographers 1 or a solid knowledge of all the info in that class and NO questions relating to Photoshop 1 will be covered. You may bring your laptop, wireless WiFi is available but please make sure it is fully charged as outlets will not be available.